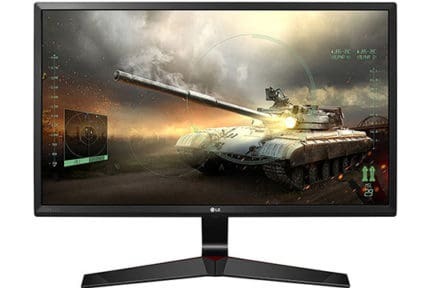 The LG 34GK950G is a 34″ 3440×1440 100Hz ultrawide curved gaming monitor based on LG’s nano IPS technology. It is also overclockable to 120Hz and features G-SYNC. 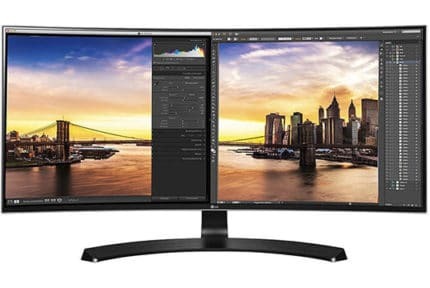 However, unlike the FreeSync model, the LG 34GK950F, it has no HDR support and no motion blur reduction technology yet it is more expensive. So, is the LG 34GK950G worth it and are there any alternatives? Continue reading to find out! 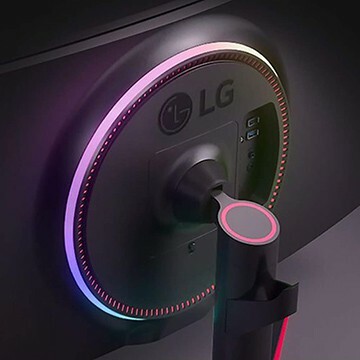 Just like the LG 34GK950F, the LG 34GK950G is based on a 34″ curved nano IPS panel with a 98% DCI-P3 color gamut, a 400-nit peak brightness, a 1,000:1 static contrast ratio, and 10-bit color depth via dithering (8-bit + 2-bit FRC). The 98% DCI-P3 color gamut (135% sRGB) provides vibrant and rich colors while the wide 178-degree viewing angles ensure no color, contrast, and brightness shifts when the screen is looked from skewed angles. 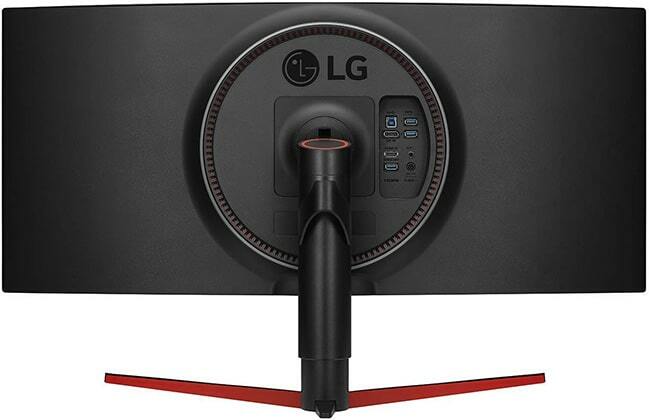 The LG UltraGear 34GK950G has a screen resolution of 3440×1440 pixels which on its 34″ screen results in a pixel density of 110 PPI (pixels per inch). Such high pixel density will allow you to enjoy plenty of screen space as well as maximum detail without any scaling necessary. The 21:9 aspect ratio provides with 33% extra horizontal space in comparison to the standard 16:9 widescreen monitors. What this means for video games is that you get a wider field of view for a more immersive gaming experience. Games that don’t support this format natively, though, will force black bars at the sides of the screen or stretch out the picture. Check out a list of supported games. The LG 34GK950G input lag performance is just below 4ms which is very good. Moving on, the LG gaming monitor has a response time speed of 5ms (GtG) with four different overdrive settings: Off, Normal, Fast, and Faster. Overall, setting the overdrive to ‘Fast’ is sufficient to eliminate ghosting and motion blur in fast-paced games without introducing any reverse ghosting or overshoot. The backlight is flicker-free and there’s an integrated low-blue light filter, so you can game for hours without worrying about eye strain or headaches. There aren’t any visual artifacts or defects such as excess IPS glow, dead/stuck pixels, or backlight bleeding. In the OSD (On-Screen Display) menu, you can overclock the monitor to 120Hz. Once the ‘Overclock’ option is enabled, remember to set the refresh rate to ‘120Hz’ in your graphics card settings as well. Other gaming features include two pre-calibrated FPS picture prests, one RTS mode, and two fully customizable Gamer profiles. You will also find customizable crosshair overlays and ‘Black Stabilizer’ which increases visibility of objects in dark parts of video games by altering the gamma curvature. Last but not least, the LG 34GK950G IPS gaming monitor feature NVIDIA G-SYNC which allows the display to change its refresh rate dynamically if you have a compatible NVIDIA graphics card. In turn, you get a variable refresh rate which eliminates all screen tearing and stuttering as long as your FPS (Frames Per Second) rate stays within 30-120Hz/FPS range. The LG 34GK950G has an attractive design with thin bezels at all four sides. At the rear side of the monitor, there’s the Sphere Lighting RGB technology which adds ambient lighting through different glowing patterns and colors. You can elevate the screen up to 110mm, swivel it to the left or right, tilt it, and mount it using the 100 x 100mm VESA pattern. Connectivity options include a DisplayPort 1.2, an HDMI 1.4 (maxes out at 3440×1440/50Hz), a dual-USB 3.0 hub, and a headphones jack. 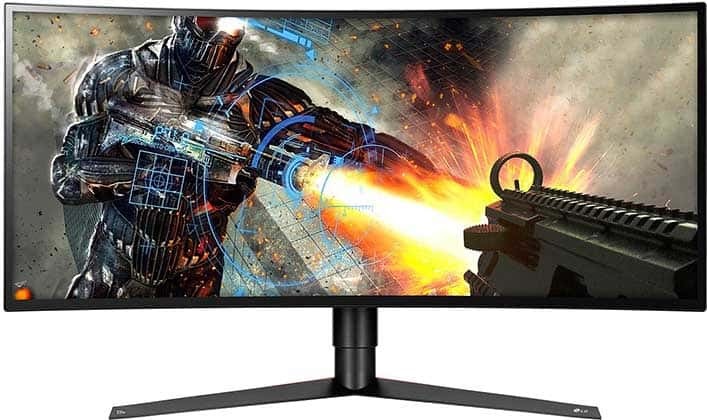 The LG 34GK950G price is around $1,400 which we find a bit steep considering that the FreeSync model has HDR support, 1ms MBR, a higher refresh rate, and two extra HDMI 2.0 ports yet it’s cheaper. Overall, if you’re looking for a similar G-SYNC monitor, we recommend the Dell Alienware AW3418DW. Dell’s model may not have as wide color gamut, but it also offers G-SYNC up to 120Hz and has a great image quality; in short, it offers better value for the money. While the LG 34GK950G does offer a flawless performance with a quick response time, high refresh rate, and low input lag, we feel that it should’ve at least had a native 144Hz refresh rate to justify its price. The LG 34GK950G provides you with an impeccable gaming experience thanks to its low input lag, high refresh rate, quick response time, and G-SYNC. Additionally, the high-res 34" curved screen with vibrant colors ensures stunning and immersive image quality. The price, on the other hand, is not as appealing.